What is Scientology? What is the practical application of Scientology for the average man in the street? How can Scientology help people overcome their problems? Why is Man on this planet and what is his purpose here? Such are the questions posed by millions and, in this rare filmed interview, L. Ron Hubbard provided the answers: what drove his quest to help Mankind, his hard-won discoveries providing the long-sought answers to the riddles of the mind and life, and how he forged a route to accomplish new states of beingness and happiness—here it is as Mr. Hubbard himself explained it to the world. Meet the man who founded a new religion in the atomic age, a religion that now spans the globe, a religion changing the face of Earth, a religion where science and religion finally meet and so…a religion that could only have been called Scientology. I have lived no cloistered life and hold in contempt the wise man who has not lived and the scholar who will not share. There have been many wiser men than I, but few have traveled as much road. This exclusive interview with L. Ron Hubbard was filmed in Salisbury, Rhodesia (now Zimbabwe), in May 1966 by Rhodesian Television. Mr. Hubbard had traveled to Rhodesia from his home in southern England earlier that year to continue his Scientology research towards the highest levels of spiritual awareness. Then, as now, Scientology was expanding at a phenomenal pace, and regularly bannered across international headlines. 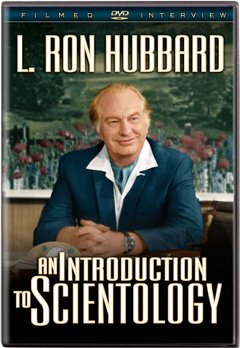 L. Ron Hubbard granted this interview to explain how he arrived at his discoveries on the mind, spirit and life and to answer those most commonly asked questions: What is Scientology? Why is it a religion? And how do people benefit from it? Here, then, is that insightful and candid 1966 interview with the founder of the fastest-growing religion in the world—Scientology.